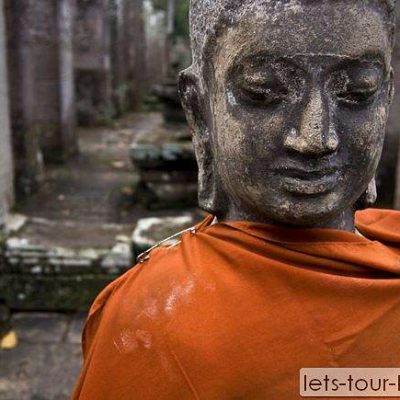 Discovery Southeast Asia city and select the best pick of highlight in Vietnam, Cambodia, Laos, Thailand and Myanmar. Just follow your dream to tropical beach paradise to busy street of Hanoi or dense forest in Laos. Allow yourself to see and appreciate the magical of Southeast Asia. What to expect when travel to Southeast Asia ? Each destination of Asia has its own unique and culture inform of art and architecture. In addition, the believe and religion has reflex on their daily life. Cross country by cruising alone Mae Khong river, paddling boat go under the water or trekking to hill tribe village. Just an our away from main city such as Chiang mai or Rangkoon. You can see the and experience of contrasts of different worlds. Meet the local every where you go to help you see in deep culture. Countless number of dishes and menu with special presentation are awaiting for you to taste. Open your mind, open your mount and you will enjoy the taste that you will never forget. Before buying a package, is it a good idea to know what each destination has to offer. The city of Angle is well known for vibrant street life, street food, colorful nightlife at market, the river of the King passing the Grand Palace. Enormous reclining Buddha statue and climbing up the steep step of Wat Arun tower is a famous thing to do once visit Bangkok. Bangkok is a gate way to other cities in Southeast Asia such as Rangoon, Chiang mai, Samui, Luang prabang and Siem Reap. There are many connecting flights and other mode of transportation to link to other cities such as by train, bus and cruise . Spending time in Bangkok for a few days but extension to beach town by a few hours ride and go to historical park city and nature & jungle are also easy. This is name of city that worth considering to visit. Pattaya, Hua Hin, Kanchanaburi , Ayutthaya, Khao yai and Amphawa . This town is a gateway to Khamer empire in different period such as Angkor wat, and Angkor thom. The sanctuary built in 9-15th century which made of intricate stone. Many tourists go to see Sunrise at Angkor temple. Or explore street food in Siem Reap. Or take a boat trip at Tonle sap , lake near Siem reap. Or Take excursion to holy waterfall at Phnom kulen, the 1000 Linga river and recling Buddha. An excellent street food of Hoi An is well known and become famous thing to do. Taste of street barbecue , cau loa , and drink bia hoi are highly recommend. Unlike any city in the world. Inle lake located in the water or the Lake in Shan hills of Myanmar. Landmark of the town is including a tired pagoda with gilded Buddha statue, tomato farm , villager life and local market. Riding a long tailed boat and see the fisherman stand and fishing around the village is the unforgettable picture. Top mountainous city in Thailand that attracts a lot of visitor is Chiang mai. The old city of Chiang mai retains vestiges of walls and moats which history date back in 1558. Chiang mai was an independent stage for hundreds years and create enrich culture which can see from numerous elaborate Buddhist temple which some of them built since 14th-century. Outside Chiang mai is a land of mountain and resident of colorful hill tribes. Adventure and outing activities when go outside the city including jungle trek with elephant, white water rafting, visit hand craft village, cooking class , canopy ride, biking , and visit farm . Extension from Chiang mai are also including Chiang rai, Pai, Lampang, Lampoon , Mea Hong son. Each destination has different highlight. Chiang rai is a land of art and unique design temple. Pai is a small town with cool night market. Lampang is a home of elephant conservation center and horse ride to see Lampang town is very unique experience. The capital city of Vietnam located on the banks of the Red River. The old Quarter is city center which has narrow street full with motor bike, and street food . The government well preserved various colonial building make Hanoi special looks with its own charm. Nim Bing and Halong bay are very unique destination which is connect with Hanoi. This is one of natural wonder which make the area different. This is a former capital city of Laos which situated in the northern of Laos. Luang prabang lies in valley where Meakong and Nam Khan Khan rivers meet. The city is well know as many Buddhist temple located in such as Wat Xieng Thong . Moring rise and take part in Luang prabang culture by offering food to the monk. Take a boat trip to the cave and stop at whisky making village. Perhaps spend a day at Kuang Si and Tad sae waterfall. Malay, Indian and Chinese mixed culture town that everyone love to visit. Gorge town is a home of various landmarks which can takes many days to see. Everyone will love to take a picture with colonial Fort Cornwallis. Seeing eh Chinese clan house Khoo Kongsi . Or perhaps visit Kapitan Heling Mosque. Don’t forget to go to Penang Hill for enjoy panoramic views and flower garden. Taking a boat trip to Langkawai or not far is a Butterworth to take train ride to access Thailand. Or Perhaps plan well, you can take a boat trip all the way to Phuket , Thailand. Phuket is one of the top of mind destination when it comes to sea, sad and Sun holiday. The most popular beach is Patong, Kata and Karon beach which is located on the western shore which has busy market, nightclub , bar on walking street at night. Phuket is gateway to connect to Khao lak, Phi Phi Island, James bond island, Koh Hay, Koh Yao . These are a perfect place for relaxing on white sand and swimming in crystal clear water. Activity that once can enjoy is including , riding on elephant and view the sea and maintain. ATV riding, canoeing , white water rafting, cruising , snorkeling and diving. Phú Quốc is in Vietnamese. Phu Qouc is an island off the coast of Cambodia in the Gulf of Thailand. It is famous for white-sand beaches and resorts and ideal place for romantic sunset, evergreen forest, and a serene atmosphere. Most of the resort is located on of which are along the palm-lined southwest coast. Most of the island is part of Phú Quốc National Park, which features mountains, dense tropical jungle, hiking trails and wildlife. Duong Dong is the largest town, with day and night markets selling crafts, produce and fish. Samui is one of the biggest island in Thailand and knowns as palm-fringed beaches , mountainous forest and coconut groves. The tropical client which is warm and humid all year long. Koh Samui has various range of resort but luxury pool villas are very nice and worth to stay. Idea of activities in Samui island is including, taking a trip to Angthong Marine Park, Visit the secret Buddha garden , visit fisherman village, fling on canopy ride through the sky and visiting Koh Nang yuan. Khao Lak, located just one hour drive and located on the north of Phuket Island. The city lie on the gorgeous Andaman seaboard. This city is considered as one of Thailand’s most peaceful resort destinations. Travel in different destinations will cost a lot of money. However, some tour companies offer group tour which is more reasonable price. But the group size is very big. This is our recommendation to make tour cheaper than it should. Using 3 star hotel, if your travel activities is very pack , why spending lot of money on hotel room while you stay there just for sleeping? Take the food out from tour cost, it will be cheaper and easy once to operate. Travel to different destination by using flight , bus or train. Once you reach one destination. You can use local guide or tour operator to organize the trip for you. This is very reliable for those who have higher budget and have very short time to stay in destination. Do you know travel agent can make the all inclusive package for small group of visitors (mixed private and join tour including transportation ticket from one destination to another destination and hotel ) can be around 100-150 USD/ per person / day ? Hope you get useful information and find good idea to create your trip. We happy to help if you need customize or our recommendation for tour and activities.